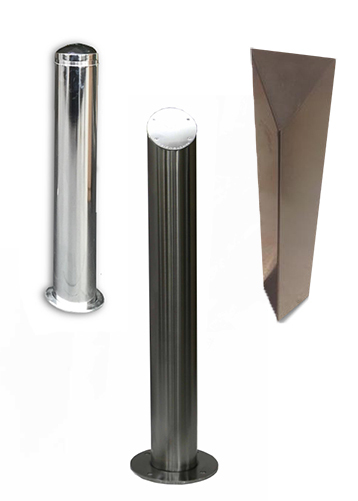 Check out our range of designer bollards which take a soft approach to hard security! 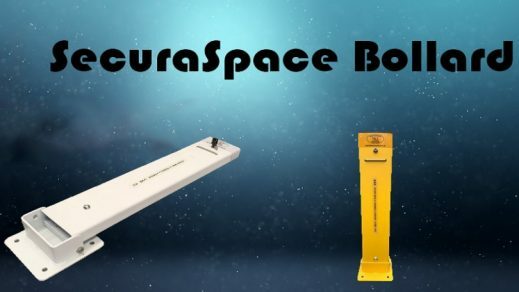 The SecuraSpace Bollard is a great way to protect your car parking spot! 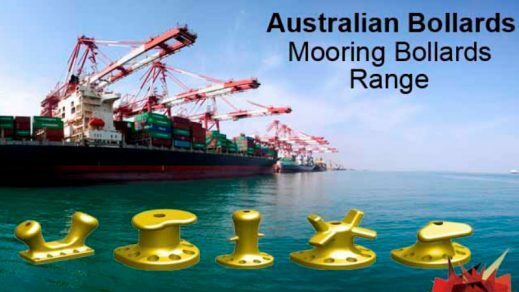 After Mooring bollards? Check these out! This is an example of a warehouse installation. 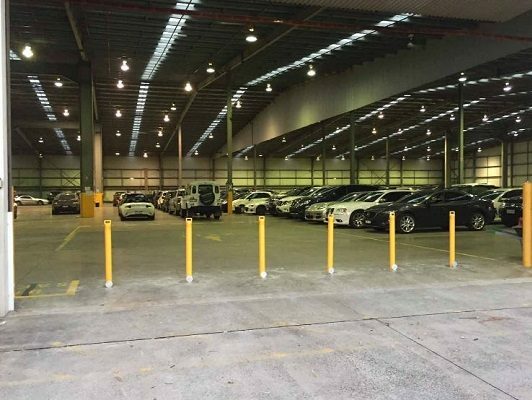 Removable bollards are a great choice for warehouses as they can allow car access during times of operation and locked into place when the warehouse in unattended. 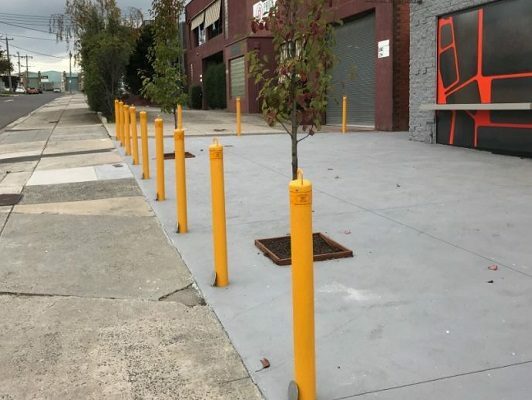 This installation uses CDKL90 bollards. This is an installation we did at UNSW. 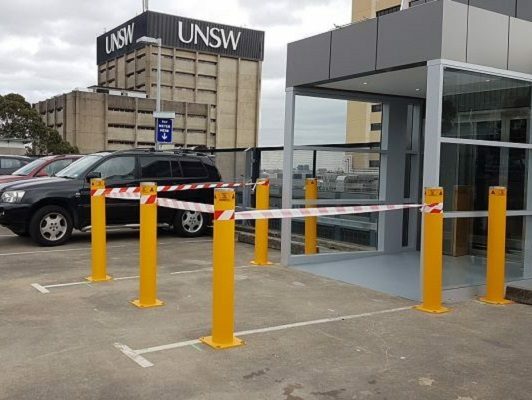 80 High Impact Energy Absorbing Bollards have been placed in front of the university’s entrances and car parks, providing protection for teachers and students. 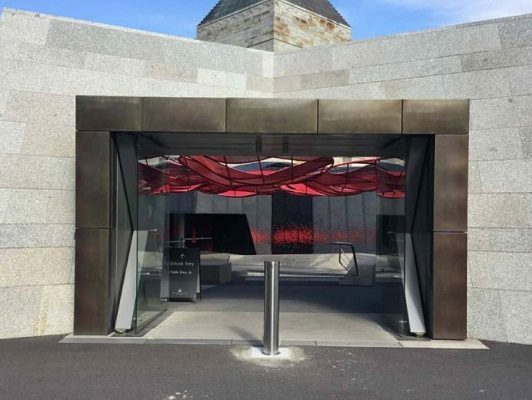 This is an installation at the Shrine of Remembrance in Melbourne’s inner South. 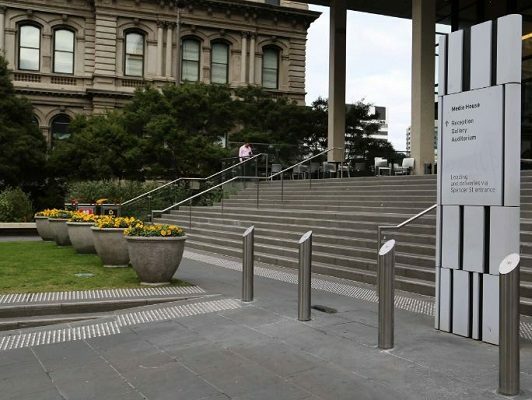 A beautiful stainless steel bollard was used to protect the historic site. 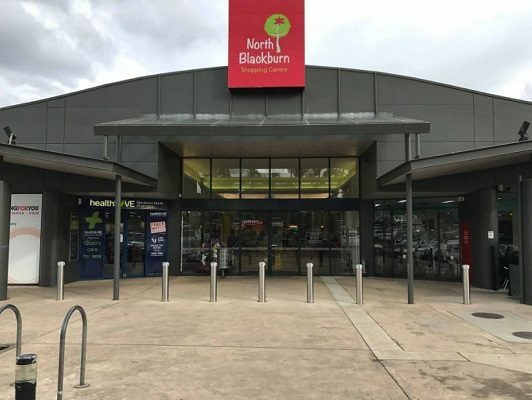 North Blackburn shopping centre was a victim of a ram-raid attack. 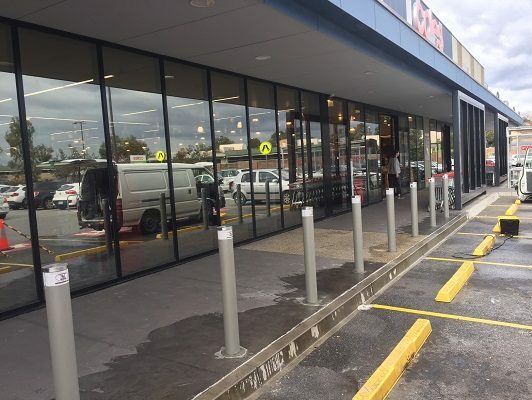 We responded by installing VBIED bollards at many entrances of the building. This is an installation which was done at the famous Media House Building in Melbourne’s CBD. 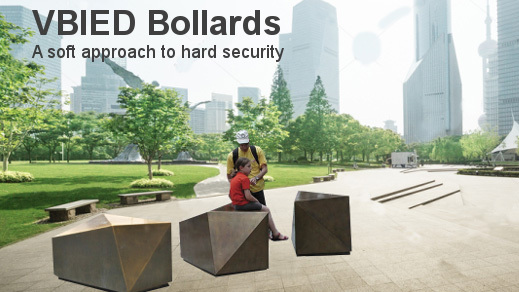 It features both designer stainless steel VBIED bollards and also soft approach to hard security planters which also provide a level of protection. 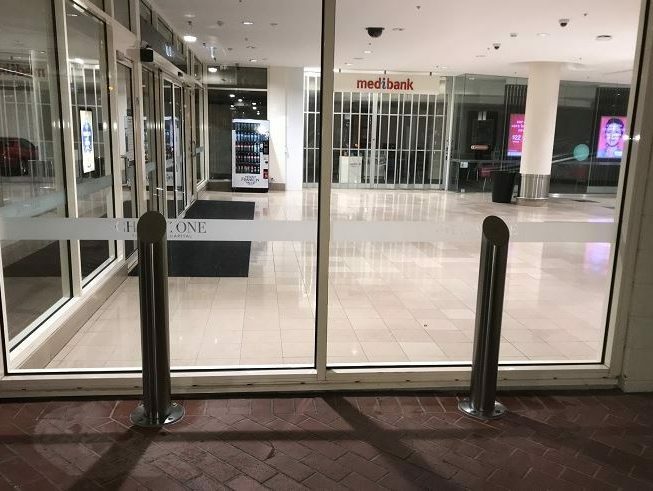 Chadstone is the largest shopping centre in Australia and the fashion capital has stainless steel designer bollards protecting it from ram-raids. 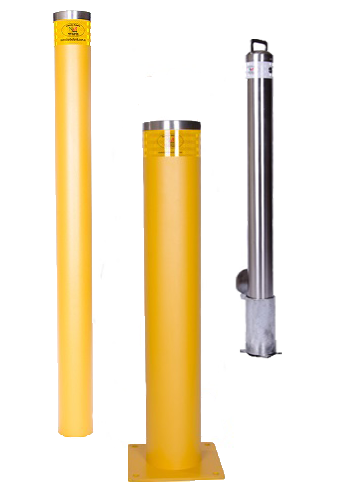 The sleek bollard design blends in perfectly with its grand surroundings. This is a installation at a cafe. 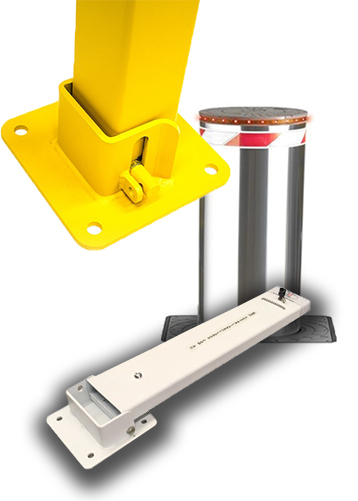 Removable bollards are used for easy access control functionality. 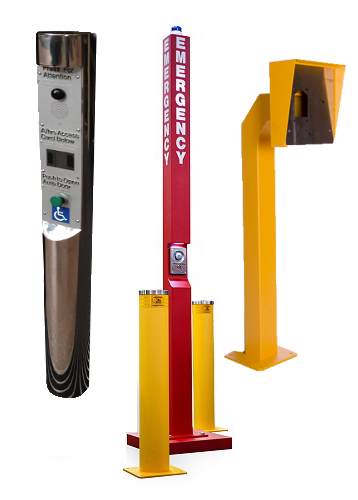 When deliveries arrive, the bollards can be removed and placed back when the delivery is complete to protect staff and patrons. 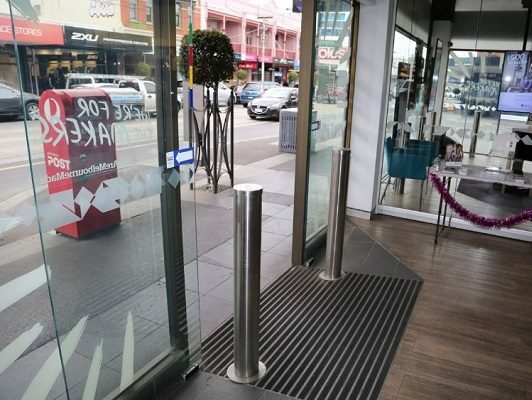 This is an installation at a bank designed to protect against ram raid attacks. 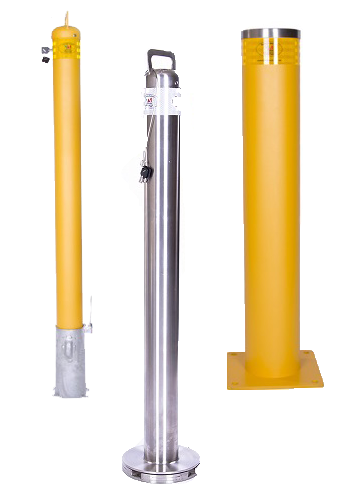 These bollards have VBIED and PAS68 protection to stop a large vehicle travelling at a fast rate.